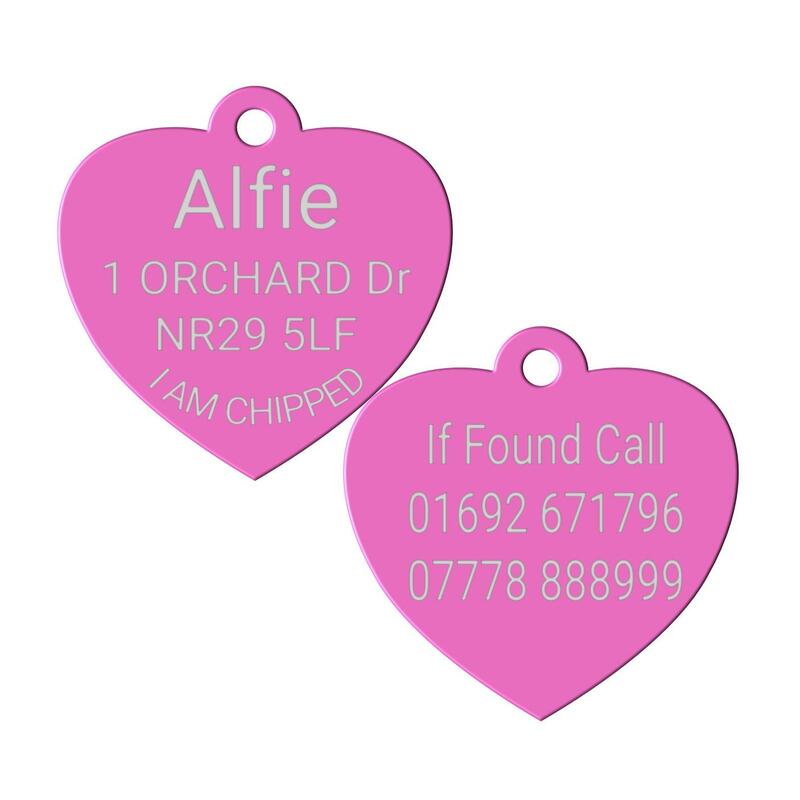 Pink Heart Shape Aluminium pet id tags. Deep Engraved on Both sides with your contact details and posted within 24hrs after receiving your order. These Tags are available in 3 sizes. 32 mm ( only use 5 - 6 lines of text at 12 characters per line on each side or the text will be small to read.The above is just a guide.